The mother of a Massachusetts man fatally shot inside a Harvard University dormitory during a drug-related robbery has filed a wrongful death lawsuit against the Ivy League school. Denise Cosby says in her suit filed in Middlesex Superior Court that Harvard negligently allowed the mastermind of the killing of her son, Justin Cosby, to operate a “criminal enterprise” in Kirkland Hall that resulted in the May 2009 killing. Her lawyers tell The Boston Globe that Denise Cosby believes her son would be alive today if the school had followed its own policies. 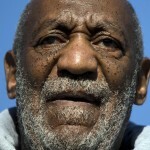 The 21-year-old Cosby was shot by one of three men during a drug robbery. None were Harvard students, but the shooter was dating a student. A Harvard spokesman says the university isn’t accountable.